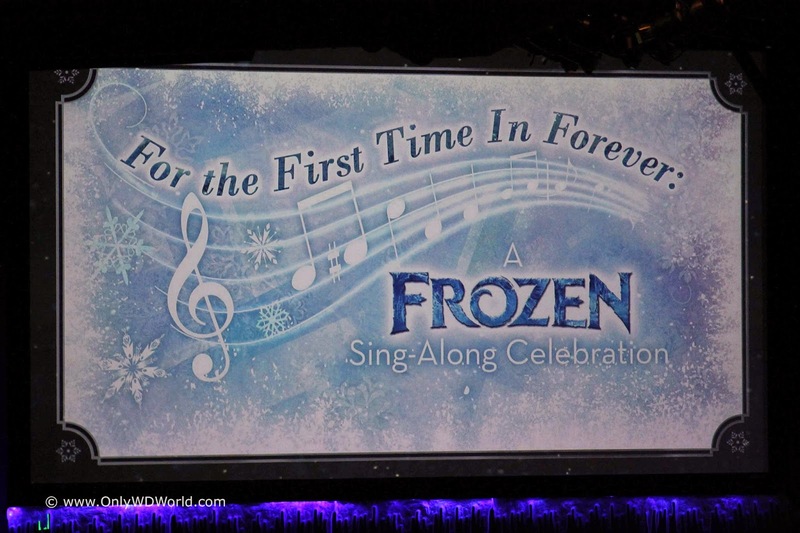 As part of the Frozen Summer Fun limited time event at Disney's Hollywood Studios there is a wonderful stage show called "For The First Time In Forever, A Frozen Sing-A-long Celebration" that should definitely be on your Must Do list for Disney World this Summer! 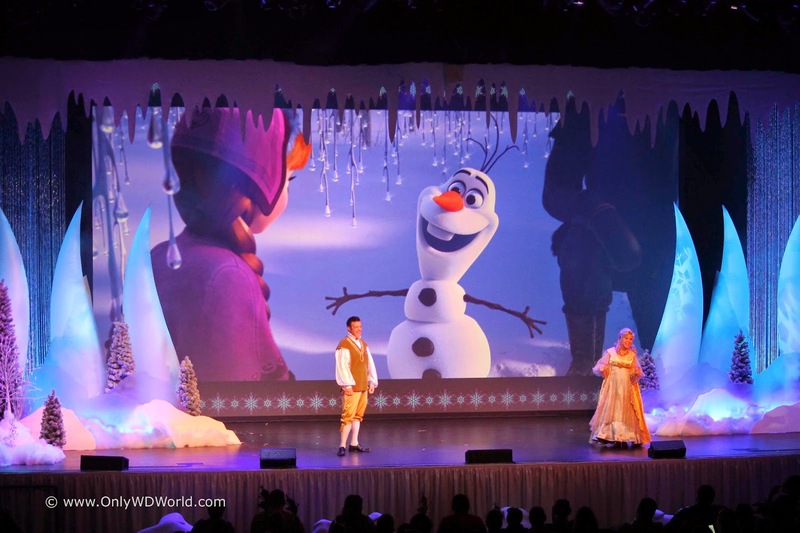 Fans of the Disney animated movie Frozen, know that it is filled with catchy songs that make you want to sing along, so what better way to enjoy Frozen than a chance to sing along with the characters from the movie! 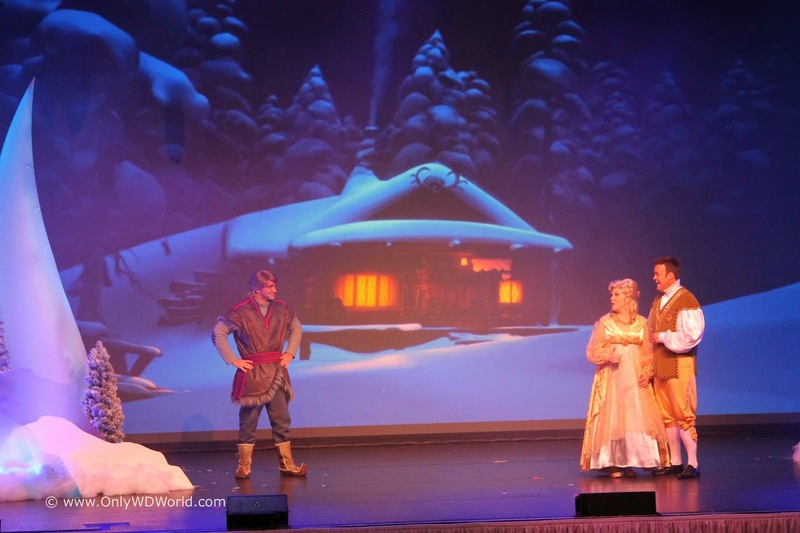 Located in the Premier Theater at the back of Disney's Hollywood Studios, this live show is currently being offered an amazing 7 times a day. 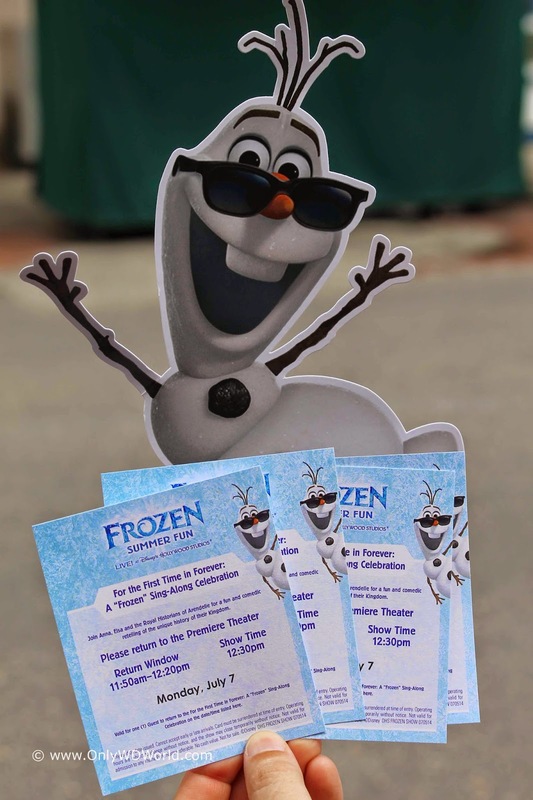 Recent show times were: 12:30pm, 1:30pm, 2:30pm, 3:30pm, 5:00pm, 6:00pm, & 7:00pm. In order to make it easier to manage crowds, there is an area near the theater where you need to go to obtain (free) tickets for a specific show time. This is totally separate from the FastPass+ system. 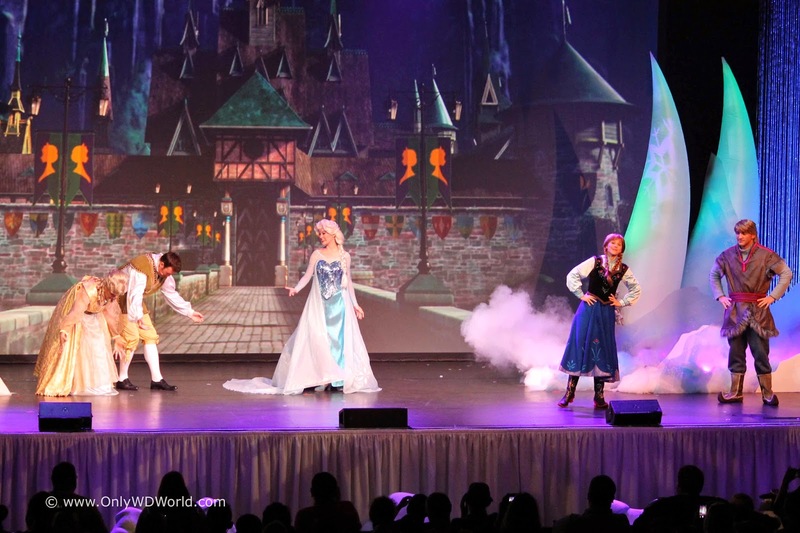 The show provides you a chance to see your favorite Frozen characters performing on stage with the help of a pair of comical historians and a wide variety of special effects. 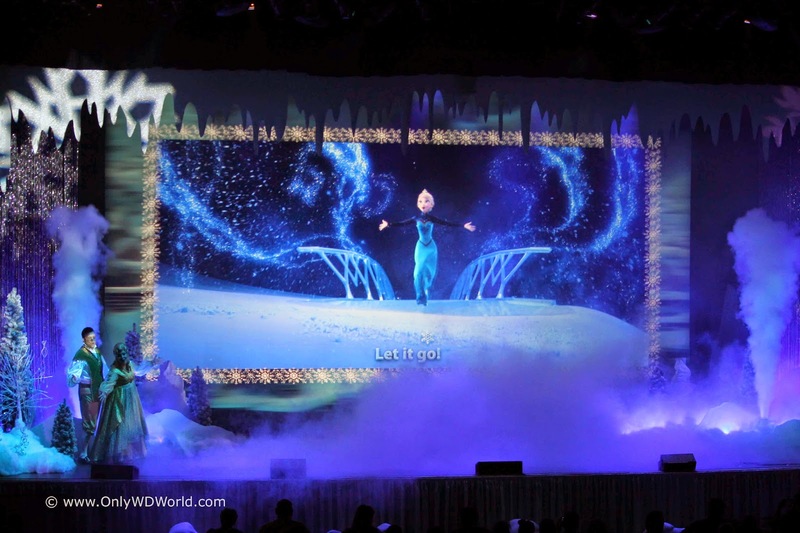 The stage consists of a giant video screen and some props to set the scene in Arendelle. 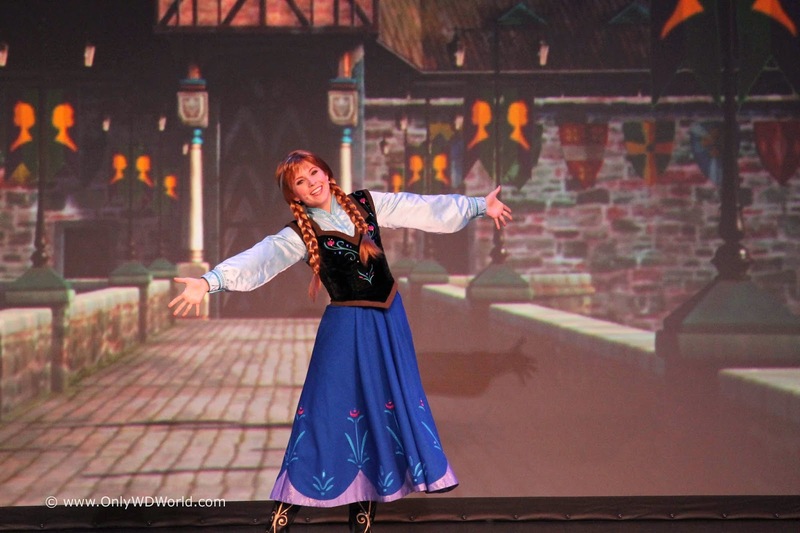 Princess Anna is the first character to start the show. 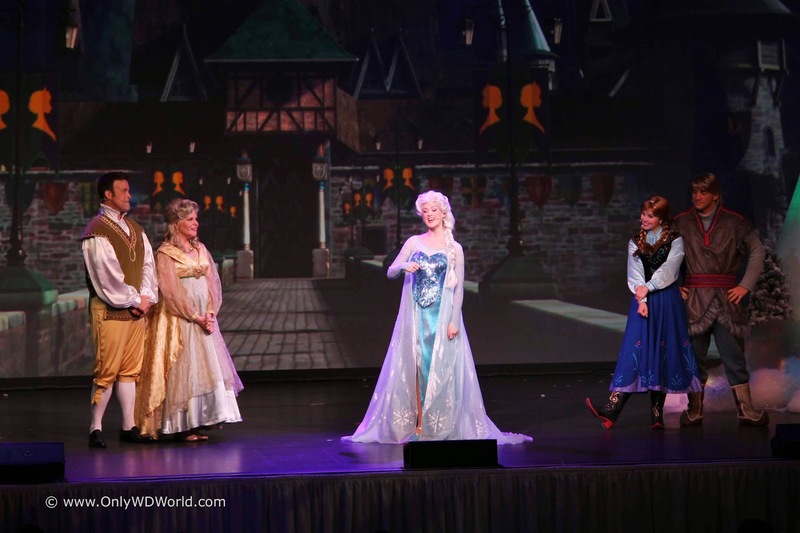 Anna is joined by a pair of Arendelle's Historians. From here the Historians provide the comic relief and set about to tell the story that so many of us know from the movie Frozen. 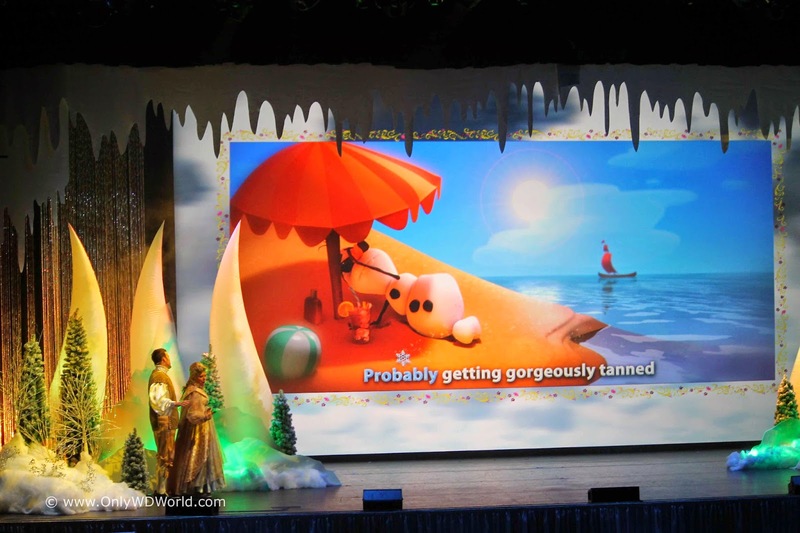 As they set the scene, images on the video screen play clips from the movie and serves as the backdrop for the Sing-A-Long. 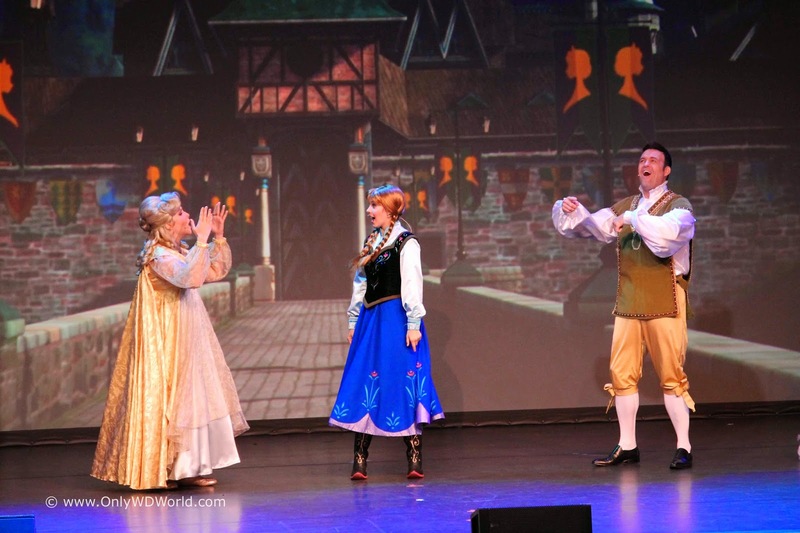 Audience participation is encouraged, so feel free to join in the fun and sing as much as you want! 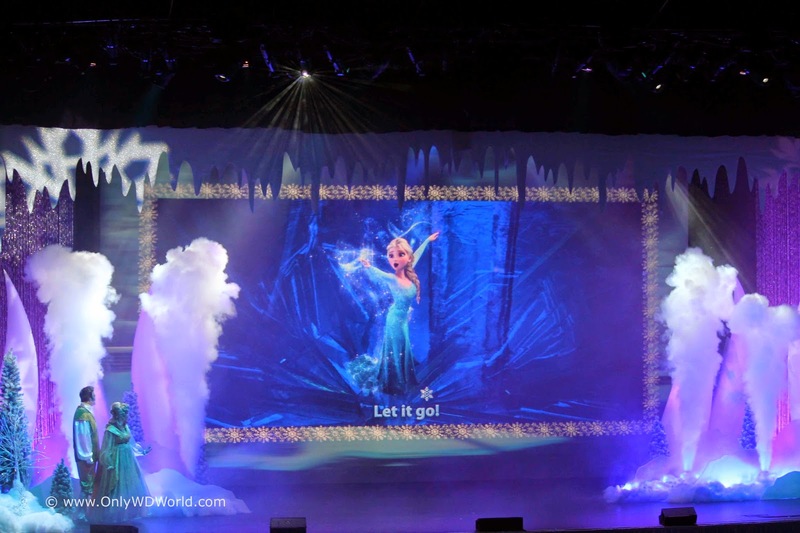 Special effects really kick into gear as they get to the crowd favorite "Let It Go!" It is hard not to get drawn into the emotion of the song as the crowd really gets into the Sing-A-Long. 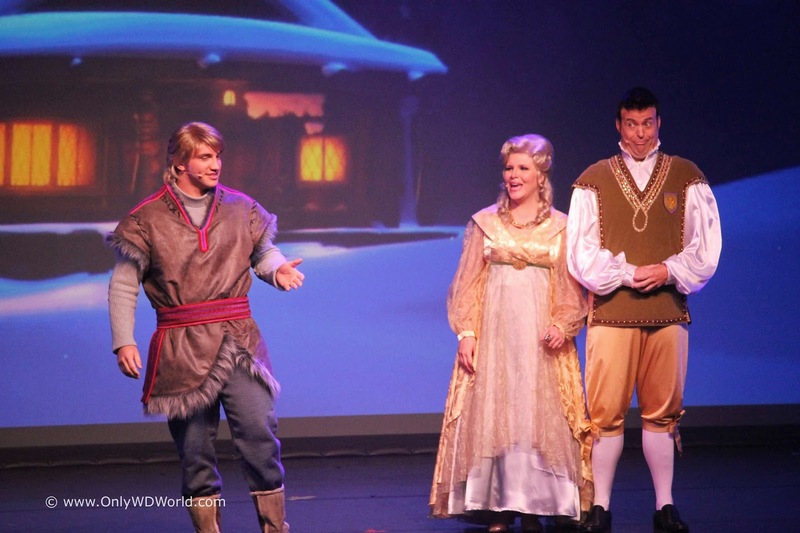 Kristoff then makes his appearance. Unfortunately his appearance is without his faithful companion Sven. 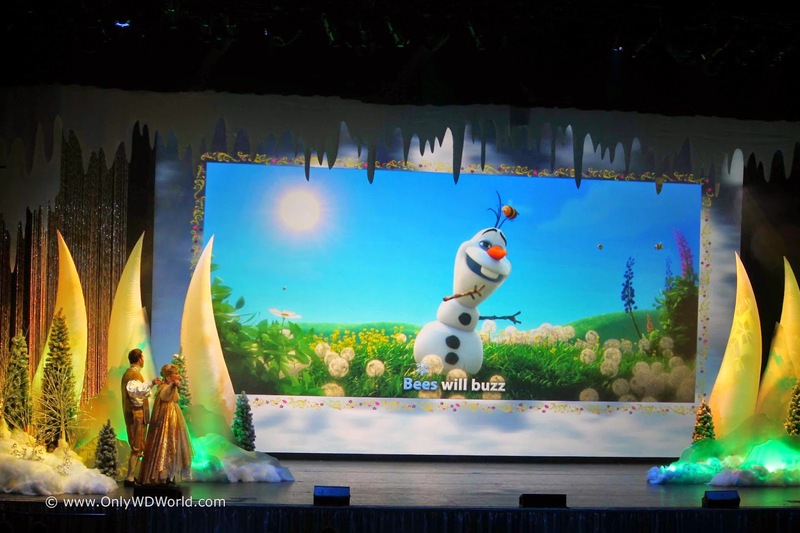 Olaf also makes his appearance, albeit via the video screen. His character is adorable and has audiences laughing even when they know what he is going to say! 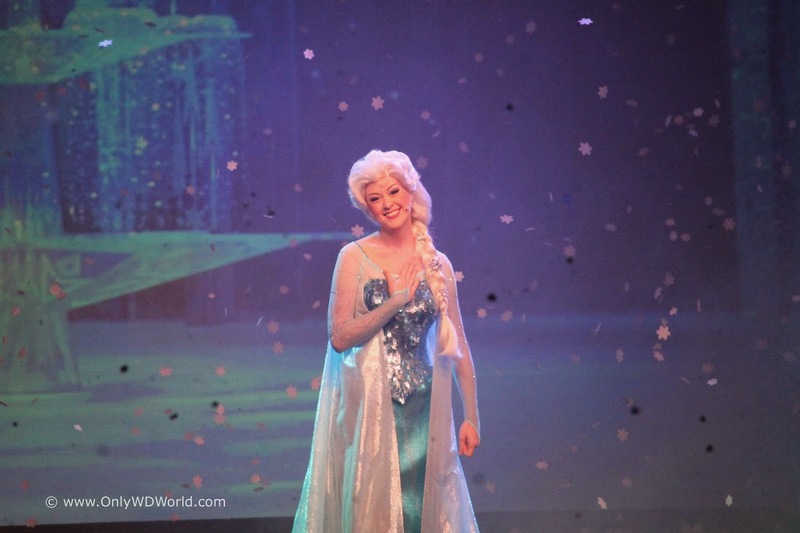 Ultimately Queen Elsa makes her way to the stage to the delight of the audience. 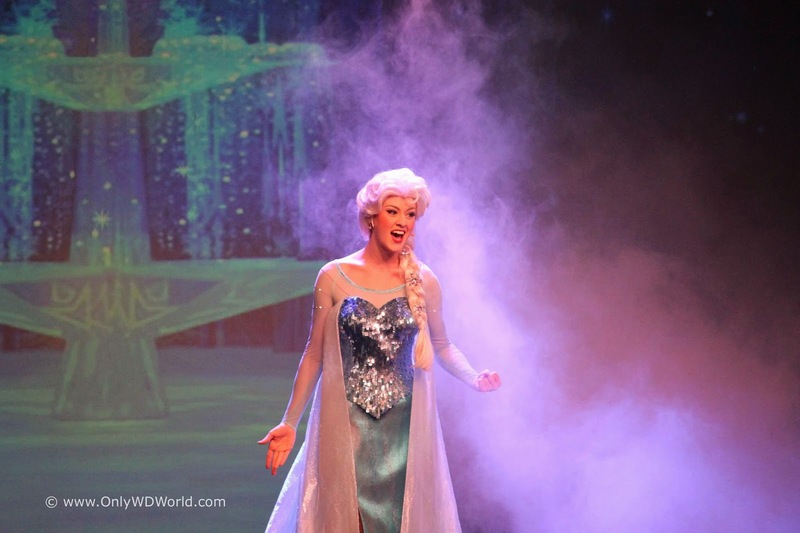 The show continues with all of the performers now on stage singing among all of the fog and special effects. 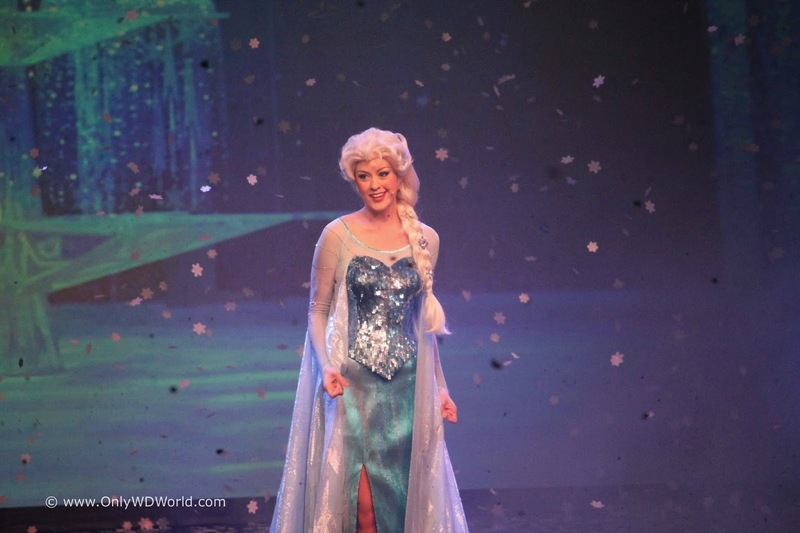 There is no doubt that Queen Elsa is the star. 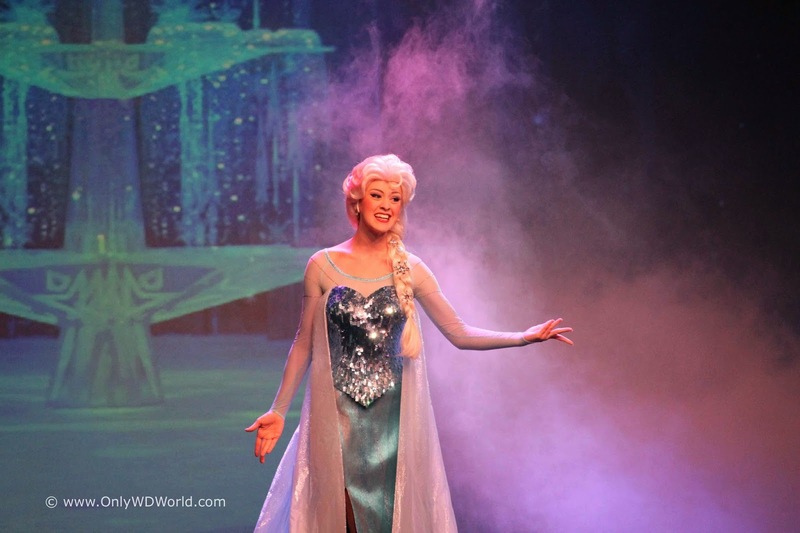 As Elsa sings and performs she is certainly commanding the stage and the audience. 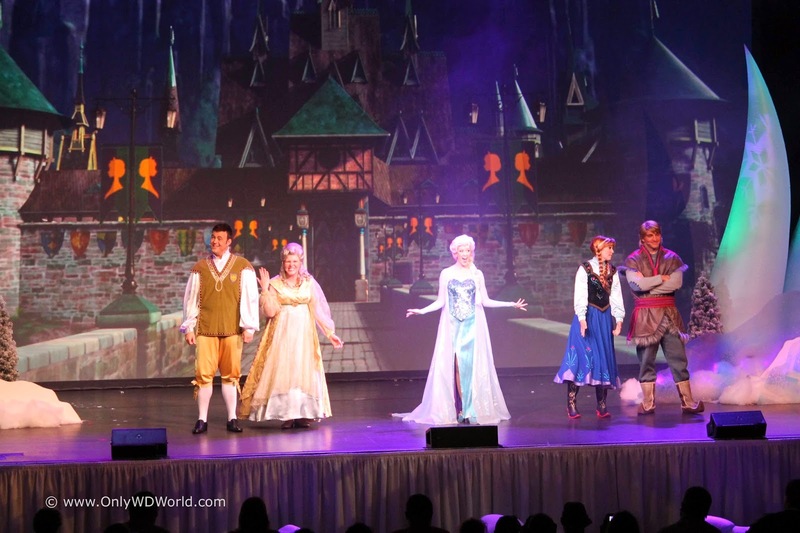 "For The First Time In Forever, A Frozen Sing-A-long Celebration" is a hit! 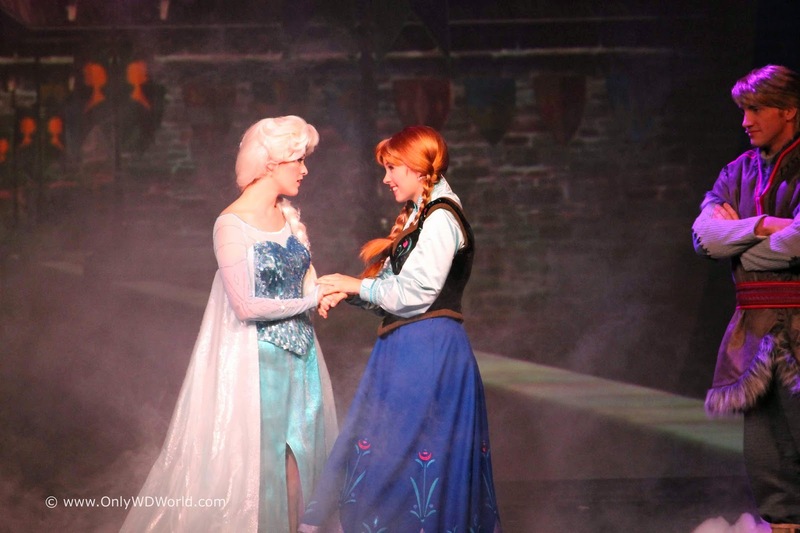 This is definitely a Disney World Must Do for anyone visiting Disney World this summer. 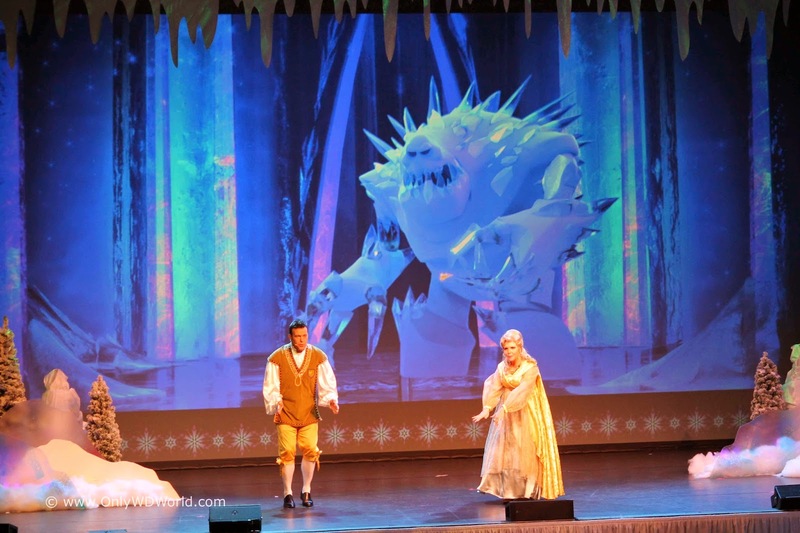 Whether you are a huge fan of Frozen or have never seen the movie, this 20-25 minute show is something you should try to see. It is well done, fun for the audience, and the combination of live action and video clips keeps all agaes in the audience engaged. Well done Disney! 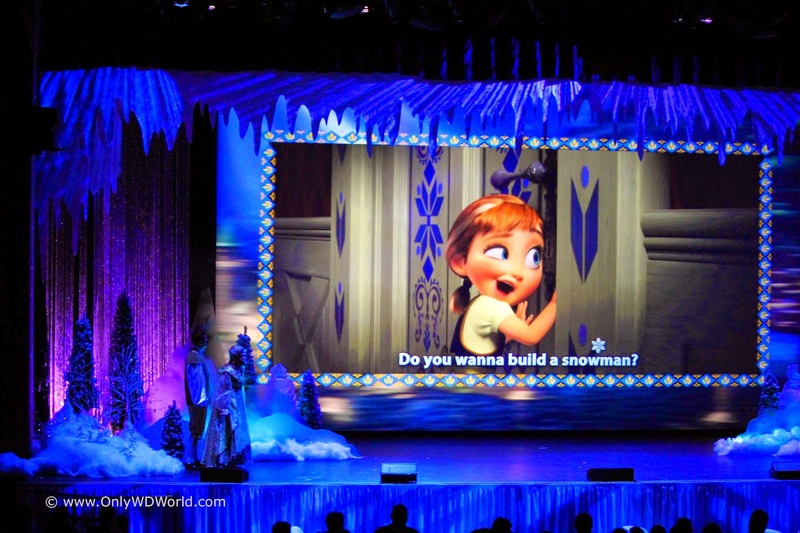 0 comments to "Frozen Sing-A-Long Celebration at Disney's Hollywood Studios"